A YouTube video is going viral showing a billboard generating clean drinking water from nothing but air! Popular Mechanics reports it’s a promotional stunt for a Peruvian college in an area with limited access to water. 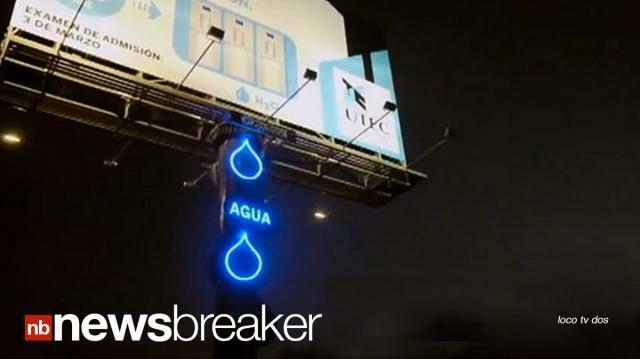 Huffington Post writes the billboard generated 2500 gallons of water in the first 3 months. Mystery of Shark on Subway Appears to be Solved!